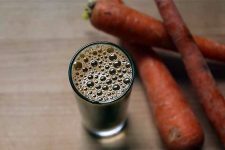 Although I am in no way an expert, I am very interested in juicing and reading up on it as much as I can, as well as making various juices at home. 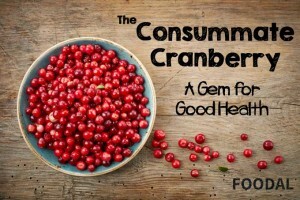 I think it’s a fabulous beverage to enjoy because you are eating perfect, live, RAW food! It’s like concentrating VIDA (life) and putting it directly into your system. You can almost taste the pure life in the juice. You have vitamins, enzymes, and chlorophyll in all their perfect fresh goodness. 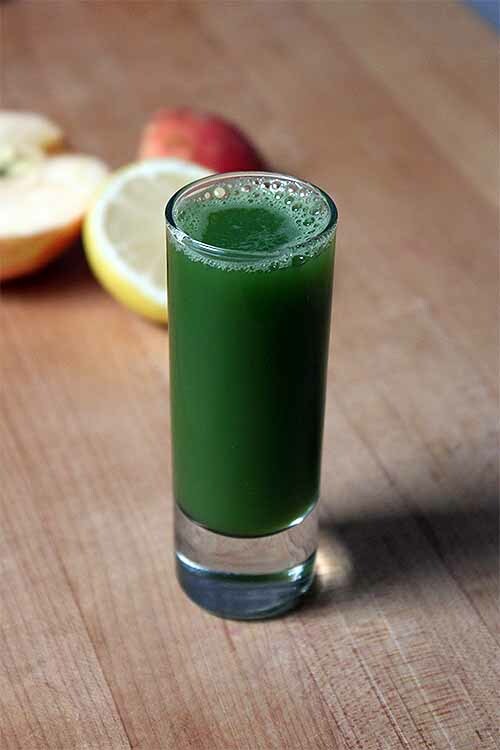 Plus, one glass of fresh juice gives you what one would have to eat pounds of veggies or fruits to receive. It’s a fast and easy way to get tons of nutrients into the body. 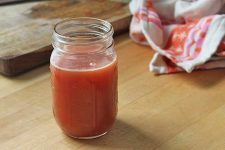 This recipe is perfect for veggie juicing beginners. It’s soft and sweet, very tasty, and it’s not bitter or strong in flavor at all. Apples are known nutritionally for the polyphenols they contain, a type of phytonutrients including flavonols like quercetin, kaempferol, and myricetin; catechins; anthocyanins (the red ones); and chlorogenic acid. 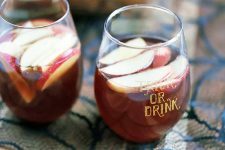 To get the full benefits offered by the nutrients in apples, it’s best to keep the skin on when you juice, since this is where many of the phytonutrients are found. Polyphenols are responsible for many of the potential health benefits described below, such as the prevention of degenerative diseases, thanks to their antioxidant qualities. They also contain two types of fiber, both soluble (in the form of pectin) and insoluble. When combined with other nutrients, the fiber in apples has been shown to help regulate blood sugar in the same way as other foods that actually contain much greater levels of fiber. 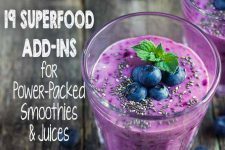 But most of the soluble fiber is usually strained out in the juicing process. Apples have also been shown to have an effect on certain types of bacteria in the digestive tract, though studies are still being done in this area. Chose apples that are firm and vibrant. If they are green or yellow, look for a slight blush. These will have the best flavor. Spinach is high in antioxidants including flavonoids and carotenoids, as well as a variety of vitamins and minerals. 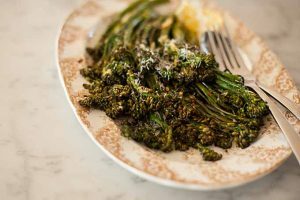 As far as leafy greens are concerned, this one is super rich in nutrients. 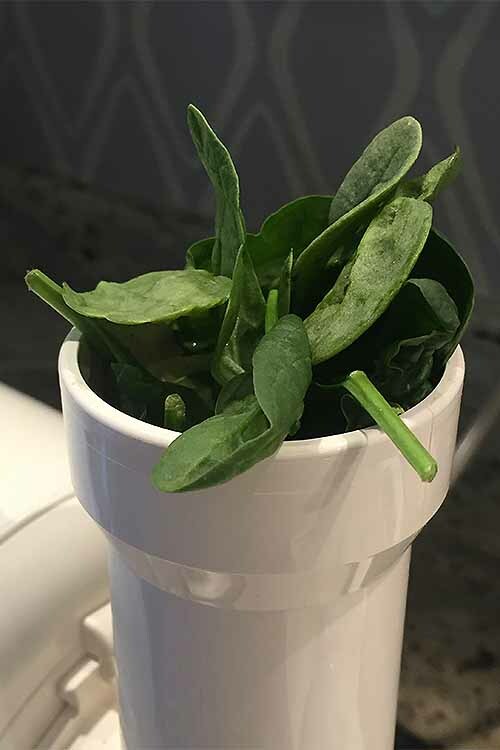 Recent research has shown the glycoglycerolipids in spinach can protect the lining of the digestive tract from inflammation and other potentially damaging conditions. Chose vibrant green spinach with no yellowing on the leaves or stems. The leaves should be fresh and tender with no wilting, bruising, or slimy areas. Baby leaves are often preferred for spinach, since they have a lighter flavor. If you are storing your spinach, do not wash it first – the presence of moisture will encourage it to spoil. Place unwashed leaves in an airtight plastic bag in the refrigerator and it should keep well for up to five days. Thanks to the powerful antioxidant flavonoid compounds in lemons, they may provide anti-inflammatory and anti-cancer properties. 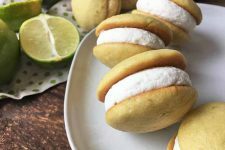 It’s best to choose lemons that are thin skinned – this means they’ll be juicier. They should also feel heavier than their thick-skinned counterparts. I always roll mine on the kitchen counter, pressing them lightly before juicing. This causes them to release more juice, and makes them easier to handle for all recipes that call for a little lemon juice. Wash all ingredients well and chop to fit the feed chute of your juicer, if necessary. 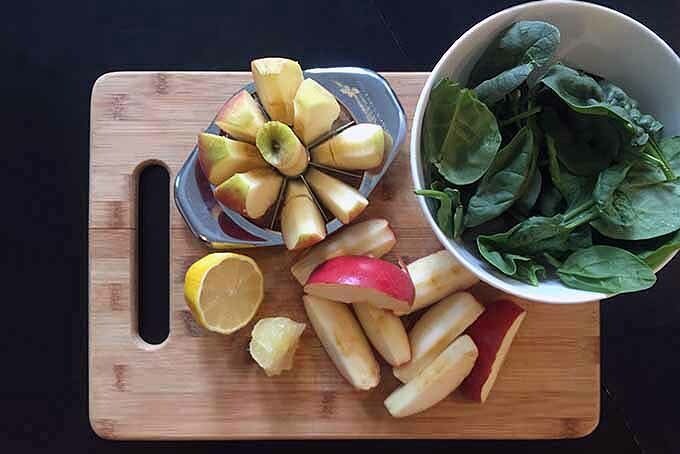 Put all ingredients in your juicer and process according to manufacturer's directions. Serve (with or without ice) and drink immediately. Once you’ve made it, remember to drink your juice right away to maximize those health benefits. 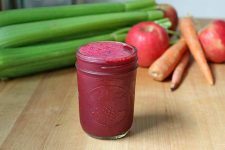 If you loved this recipe, try some of our other greats: a sweet, smooth green carrot juice, apple beet carrot juice, or our healthy V8-style tomato juice. 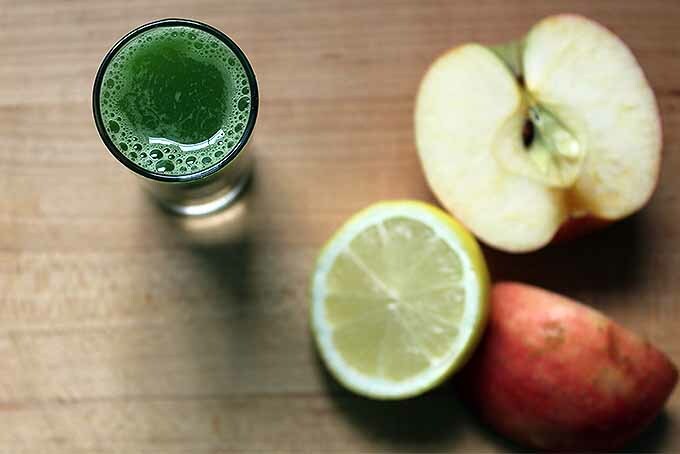 To the newbies out there and the seasoned veterans – I hope you enjoy your juicing adventures! Tell us about your favorite juicing ingredients in the comments. 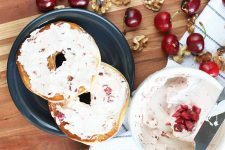 The staff at Foodal are not medical professionals and this article should not be construed as medical advice. Foodal and Ask the Experts, LLC assumes no liability for the use or misuse of the material presented above. Always consult with a medical professional before changing your diet or using supplements or manufactured or natural medications. Photos by Kendall Vanderslice, © Ask the Experts, LLC. ALL RIGHTS RESERVED. See our TOS for more details. Additional writing and editing by Allison Sidhu. Lori was born in southern California and currently resides in Mexico. She is an actress and model who also writes in the fields of nutrition, wellness, and cuisine. Her passions include working as a volunteer with various groups in the rescue and rehabilitation of orphaned and injured animals. Well I love the little saying “you can almost taste the pure life in the juice”, and I think that this is really enough to get my attention and perk my ears up. 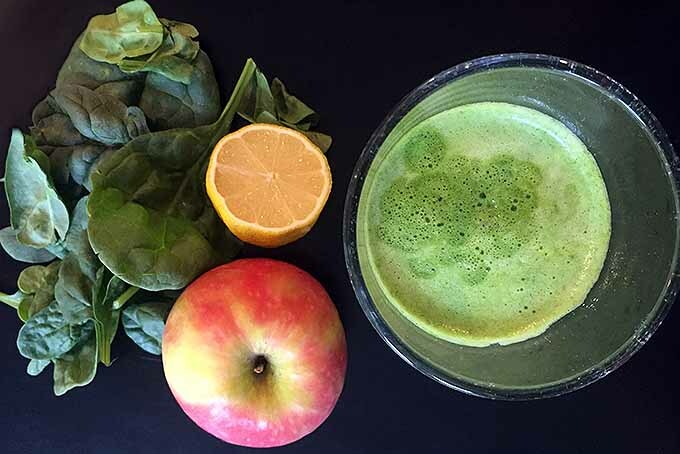 I cannot say that I have ever had spinach and apple anything, but this does seem like a great way to start the day, and get that nutrition packed punch right away when you wake up. I like it, and I am adding it to the list. This sounds like a pretty good recipe to get started juicing. I bookmarked it because I think this would actually give more long-term energy than coffee or tea. 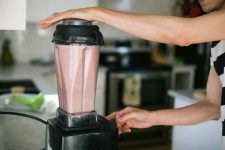 Is it necessary to have a juicer, or would a blender suffice? 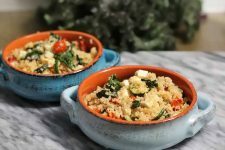 Using a high-speed blender can definitely suffice for this recipe! I actually prefer it, because it will keep the fiber in the vegetables intact. There are many health benefits of fiber, and it keeps you fuller longer. 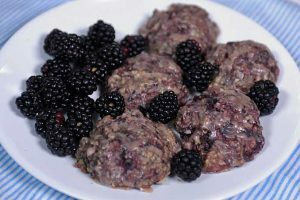 When I do a cleanse, I would be ravenous without the fiber! 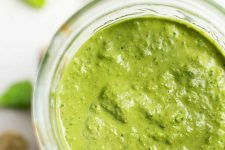 As a warning, the texture of the juice might not be favorable using a blender, so I usually add ice or other ingredients, like a little bit of avocado or ice to change the texture. I totally agree- thanks for your response to this question! Well this sounds really delicious and very nourishing, and it really fits for this time of the year in America. 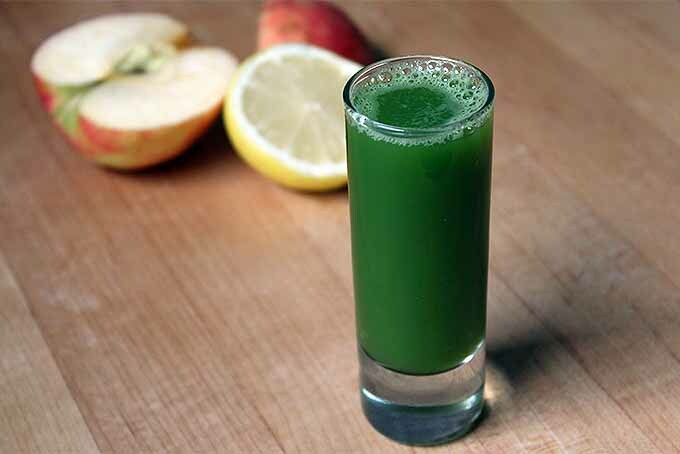 It’s apple picking time and spinach will be coming into season as well, so this juice will be very affordable, too. There are several types of juices that I like, but surprisingly, I really enjoy cucumber apple very much. When you have an abundance of cucumbers in your garden, you find ways to use them up. I love juicing my own fresh fruit and veggies. This year I picked dewberries growing wild and juiced them with a home grown lemon and it was fantastic. You really can get “charged” from it. 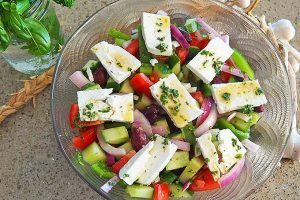 But one important thing to remember is to put plenty of veggies and fiber in there, as fructose rich fruit juices are just as bad for you as soda pop when it comes to insulin resistance and diabetes. One way to mitigate this is to get creative! You can juice tomatoes and spinach with some mustard greens(red mustard is my favorite) and some peppers and stuff like that to make a veggie juice with a bite that you can enjoy without adding too much sugary fruit. 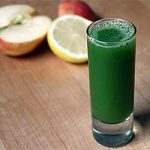 What’s more, if you juice things like that, and acquire a taste for juices like grapefruit, it will curb cravings for sweet stuff and replace that with a lust for nutritious vital veggie juices. Can’t go wrong there. I got a blender a while ago and the first combination I tried was apple juice with a vegetable. I tried lettuce and carrots and that was pretty decent, but spinach definitely tastes better than the two. I like to add some honey to make it a little sweeter. I’ve always wanted to try juicing but the one thing that’s stopped me is not having a juicer. Can you suggest any that are on the cheaper end of the spectrum that will still perform well? I don’t want to invest too much money into one until I’m positive it’s something I’m going to use a lot. I did that with one of those Magic Bullet blenders and I used it for a couple weeks, but I haven’t used it for well over a year since then. My stepdad has also done some experimenting with the bullet-style blenders, which creates more of a green smoothie-type beverage. 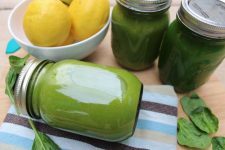 But if you’re looking for something that’s truly a juicer at an affordable price, there are some great centrifugal juicers out there. I actually acquired mine as a hand-me-down from my husband’s coworker, and I’d definitely recommend keeping an eye out for used and refurbished models. The centrifugal style tends to be more affordable than masticating options, and you can get something like the Breville Juice Fountain (which I have) for around $150. 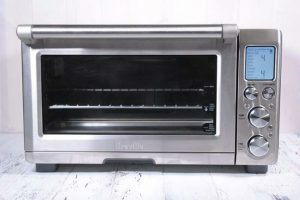 As with all kitchen gadgets and appliances, the general rule of thumb that I like to go by is that you get what you pay for, and it’s often better to invest in a well made model up front than it is to turn around and have to buy another one in a year or so when your first purchase breaks. This is great! About a month ago, I made a vow to myself that I was going to make a lifestyle change and eat healthier and work out for the body and health that I want. Since I have started, I have lost 9 pounds so far, and going strong. I love a good, green, refreshing smoothie, in place of my lunch. 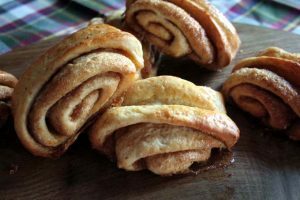 I think i’ll be giving this recipe a go! That’s great, Ashley! Keep it up! Thanks for the recipe! Juice is very popular out here in California, but stores and shops charge so much for it. Does anyone know if this juice would be good with some carrot added? I think it would add a little bit of sweetness to balance out the spinach. Thanks also for listing all those health benefits. I never knew juice had so much health power! I’m out here on the West Coast as well, and it is true that buying a pre-made fresh product tends to be a bit pricey. 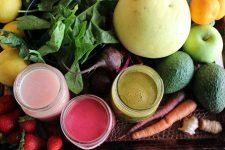 This often has to do with the fact that commercial masticating machinery is a big investment, and fresh juice has a very short shelf life- sometimes resulting in unsold product and waste. 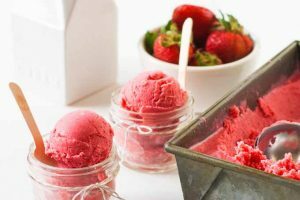 Making your own blends at home is usually the best way to go, in terms of freshness, nutrient content, and your ability to tinker with those recipes to cater to your own tastes. I’m on the West Coast, too. The variety of products we have out here is great, but the prices definitely put a dent in wanting to have a healthy drink. I’ve found so far that going to stores that are somewhat large and specialize in selling natural products go a bit easier on prices, since they know people will come in there for it. The usual grocery stores will carry some, but mark up the price since fewer people come in to get the juice compared to other staples. This seems like a great combination, and one that I could stomach. I only drink apple juice, and have been put off smoothies because of the texture and the colors. I do like both spinach and lemon, and hadn’t thought that the combination would work, but I’m willing to give it a go. 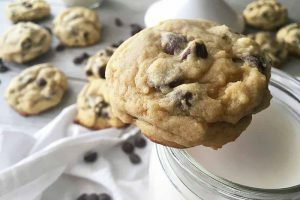 Is it possible to make it in batches so you don’t have to make it each day? Of course fresh is better, but time and convenience is a factor. I’m not a juicer, but even so, I think I will give this a try. I’m always looking for healthier things to eat and drink, as well as more ways to get some fruits and veggies in. This might even work for my picky eater, and she does actually like both spinach and apples (although that’s about all she likes as far as fruits and veggies go), so this might be perfect. I think this would be a great energizer when I don’t much feel like eating but need some form of sustenance. Great stuff.